Does blogging feel Super time-consuming? Are you spending hours writing posts, email marketing, creating products, yet not feeling like you’re getting anywhere? Is your to-do list overwhelming and you’re struggling to get started? should be the least of your worries. not wading through jumbled notes. 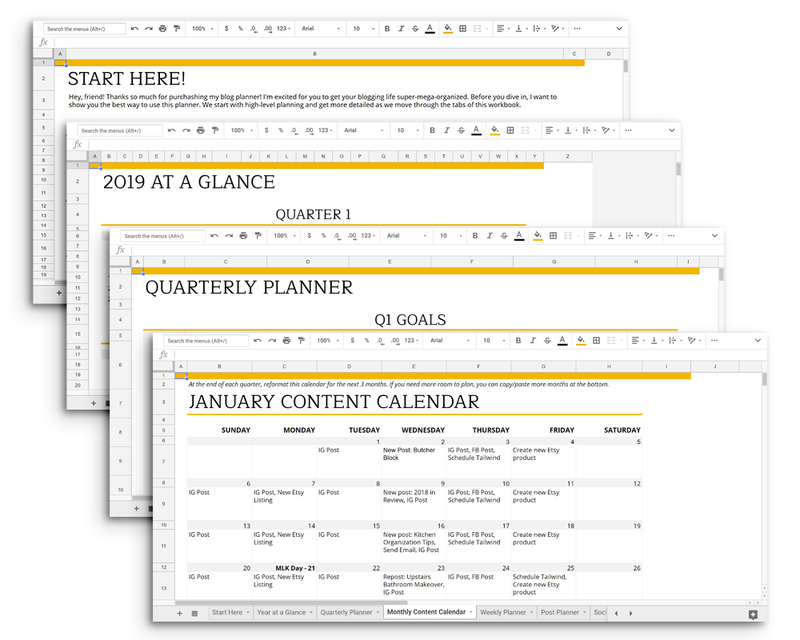 this Digital Blog Planner will change your life. Be completely satisfied, or I'll give you your money back! to be more productive than ever before. 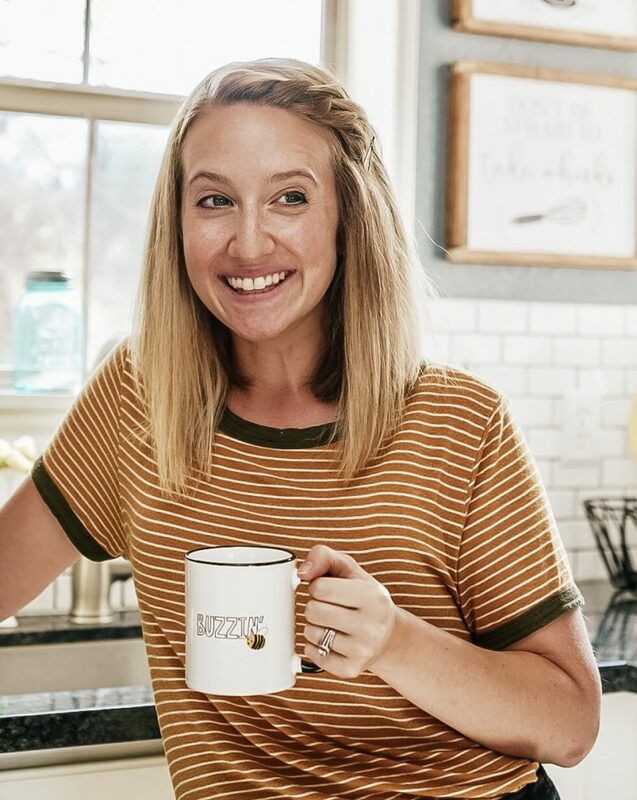 How is this blog planner "Digital"? 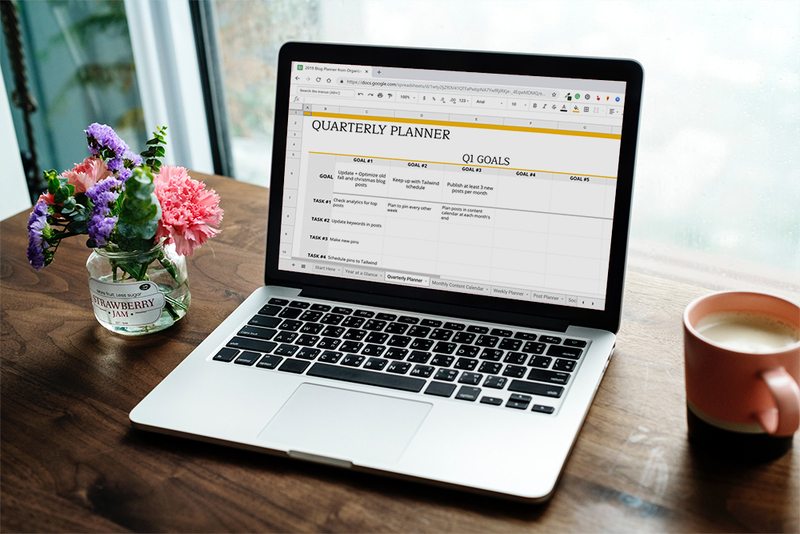 The Digital Planner is made within Google Sheets, Google’s version of Microsoft Excel. It’s free with any Gmail account and gives you most of the same functionality as Excel. How do I know if a digital planner will work for me? The only answer is to give it a try! Take my free blog planner for a spin and upgrade later, if you like it! Can I use this in Excel? You sure can! After making your copy in Google Sheets, you can click File > Download as > Excel. It will take some tweaking to get the formatting right, but if you’ve worked in Excel before it’s not hard! Do I need to be an expert with spreadsheets use this? What if I mess up the whole spreadsheet? Is this only good for 2019? It’s actually good FOREVER! This means, you wouldn’t have to buy a new copy in 2020 or the years after. Everything is customizable so you can plug in the months, dates, etc. How sweet is that?! What if I have questions or get stuck? If you're not sure, give the free version a spin! Get Organized for just $25. Still haven’t got you convinced? No worries, feel free to ask me some questions!